We usually think about spring cleaning in relation to our house, office, car, or desk, but spring cleaning shouldn’t only be about these predictable places, it should also be a part of your oral health care routine. Alex Bratic Dental Care is here to share a few tips that can help you ‘spring’ into the season! Time for a new toothbrush. Throw out your old toothbrush and buy a new one. You have used a brush way too long if it is starting to look worn out. If you have an electric brush, it is time to order new fixture brushes for it to last the rest of the year. Never Share Your Toothbrush. Not even with other members of your family. Wash Your Hands. During the day, your hands contact many germs. The simplest way to be sure you aren’t spreading these germs is to wash your hands. Rinse. After use, take a few moments to rinse your brush off. Keep Moisture Away. After you have used your toothbrush and rinsed it, store it in an upright position to keep moisture away. Make sure your dental products stay clean. You might want to rethink where you store your toothbrush and dental hygiene products. Try to keep them as far away from the toilet as possible and not right next to the sink where splashes from hand washing can reach them. This can help you to stay healthy throughout the year. Upgrade your equipment! Electric toothbrush bristles vibrate or rotate to remove plaque from your teeth and gums. The vibration creates many micro-movements every time the toothbrush moves across teeth. Overall, electric toothbrushes decrease more plaque and gingivitis than manual toothbrushes. After three months of use, plaque was reduced by 21 per cent and gingivitis by 11 per cent. Oscillating (rotating) toothbrushes seem to work better than toothbrushes that only vibrate. Drink plenty of water. While the spring/summer drinks we enjoy all contain water, they also have potentially high levels of sugars and acids that can destroy tooth enamel. Pure water has no sugar nor calories, making it great for rinsing the mouth out between meals and snacks, and the best choice for hydration. Checkup and exam. During spring cleaning we check to make all the things we use during spring and summer are in tiptop shape – we might sharpen the lawnmower blades, check the beach gear, or oil and clean all our tools. Your teeth should be examined as well! Despite following good oral hygiene habits, you still cannot be sure of a risk-free mouth. Because of this you need to check in with us for a regular checkup. We can check your oral health and determine preventive dentistry treatments such as scale and clean to improve your oral health. We include tests like oral cancer screening for early detection and cure. Whitewash for teeth? Spring cleaning can mean putting a new layer of paint on things to make them bright and shiny, and you can do the same for your teeth. If your teeth have become stained or dingy, consider whitening. Alex Bratic only offers a gentle, supervised take-home kit. We construct custom trays, record current tooth colour, and give instructions on how to whiten the teeth. You take the trays and whitening agent home to use over a 10-day period. Get a smile makeover! Smiling with confidence can make you feel awesome. A beautiful smile is also a social and professional asset. But it’s hard to smile if you think your teeth are unattractive, missing, stained, or crooked. If your smile is not all it could be, consider a smile makeover. 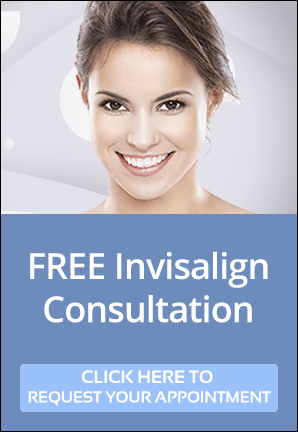 A smile makeover is an all-inclusive smile-perfection plan uniquely created to address your facial features and aesthetic desires. Some spring cleaning of teeth and gums now can lay the groundwork for many years of good oral and overall health.